I've been telling myself for months that I need to start eating more fish. So, I jumped at the chance to do this review for Gorton's. I feel a little guilty though. 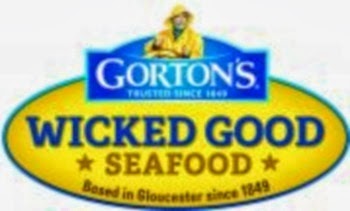 I've loved Gorton's fish products for years. However, I hadn't realized how many different products they offered now. I knew they had the fish sticks and beer battered fish fillets, but they also have talapia, salmon, shrimp, etc. You have so many different choices, grilled, fried, baked, etc. Fish is so good for you. I don't know about your family but mine definitely does not eat enough fish or seafood, even though, we live in the "Sportsman's Paradise" (Louisiana). I do have to say that it is much easier to buy it prepackaged than it is to catch it and clean it. Gorton's has something for everyone. I was so lucky because they sent me 5 coupons for free products, recipe cards, postcards, a keychain, and a cute little jump drive. I don't know who was more excited me or my husband. The difficult part was deciding on which products to get. We actually ended up with more than just our free products. The majority of what we got was fish sticks, fish fillets, and fish sandwich filets. While we made fish tacos and the typical fish sticks/fillets with French fries, my favorite was a fish sandwich with lettuce, tomato, and tartar sauce. I was in heaven. In fact, I think I had a fish sandwich everyday for about a week. It was so good. I'd just pop it in my toaster oven and stack up my sandwich with plenty of lettuce, tomato, and tarter sauce. Then I'd sit back and enjoy. On the first ones I made, we made we used regular hamburger buns, but the other day I used sour dough bread. It was delicious. It was like one of my favorite fish sandwiches from Cracker Barrel. We have loved everything we have tried. Gorton's is not only good for you but it's also a good deal, even better when you have a coupon. For us, most of the time we only get fish or seafood when we go out to dinner or if we catch it (which really isn't very often anymore). So, anyway that means Gorton's is definitely a good deal for us. You want to know the best part, though? You can win a great prize package from Gorton's, too. Take a look at what you can win - $2 off product coupons, 1 Gorton’s-branded ship wheel keychain, an assortment of Gorton’s recipe cards and beautiful seaside/Gorton’s postcards. For more information about Gorton’s products, you can visit them online, Like them on Facebook, follow them on Twitter, and follow them on Pinterest. Make sure you check out some of their delicious recipes, take a look at their full-line of products and download a coupon. Next time you are at the store check out all of the great Gorton's products. I purchased Gorton’s at my local grocery store, Walmart. You can find it all major grocery retailers. Now for the really fun part! You have the chance of winning three $2 off product coupons, 1 Gorton’s-branded ship wheel keychain, an assortment of Gorton’s recipe cards and beautiful seaside/Gorton’s postcards. To enter, just use the Rafflecopter below. This giveaway is open to US only, and you must be 18 or older to enter. This giveaway will end on October 27th at 11:59 pm CST. Good Luck!! I wish I could give everyone a prize package but drats I can only give away one.